Adolf began his studies of internal martial arts after a Tai Chi workshop with Al Wong in 1979. He explored several internal martial arts systems, but was never really captured until he discovered Ba Gua Zhang in 1999. Under the tutelage of internal martial genius Vince Black, D.O.M. at the North American Tang Shou Tao school in Tucson, AZ, Adolf studied Ba Gua Zhang and other internal styles including Qi Gong. 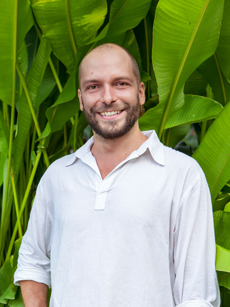 He has been teaching Qi Gong at the Yoga Barn in Ubud, Bali for over five years. Adolf’s teaching style is relaxed and fun, while simultaneously being focused and precise. 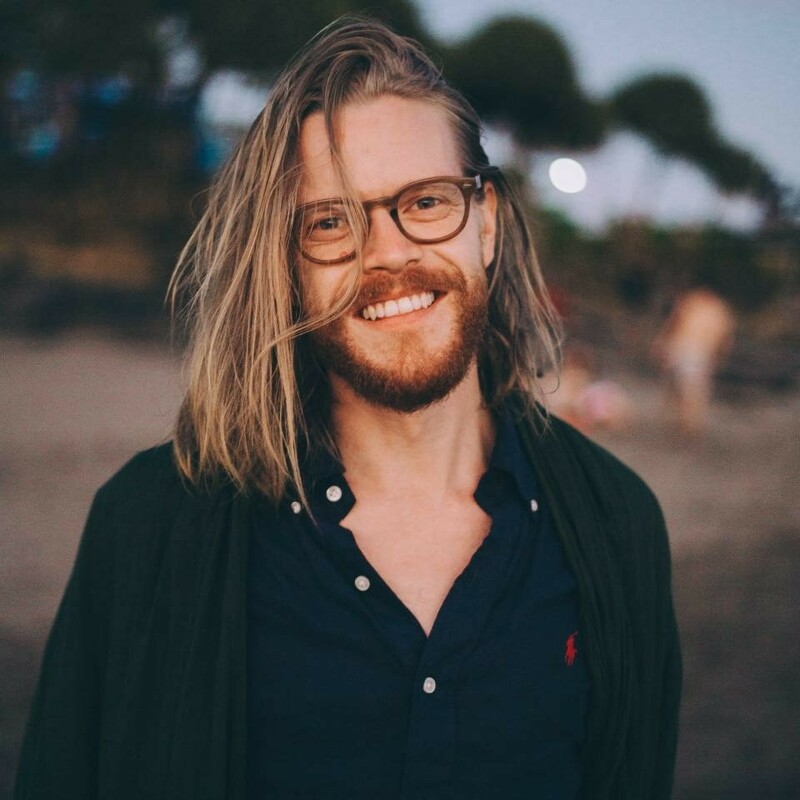 He combines his knowledge of anatomy, bodywork, joint manipulation, craniosacral therapy and acupuncture to give his teaching a unique level of depth. Adolf currently practices Craniosacral Therapy, Applied Kinesiology and Nutritional Medicine, as well as teaching Qi Gong, at the Yoga Barn, Ubud, Bali. With a background in Development studies, journalism and social work, Bex's approach to yoga is one that honors the need for individual self study with the aim of improving interpersonal relations and common-unity. Bex has studied yoga since 2001, inspired by teachers such as Seane Corne, Simon Park, Govinda Jai, John Scott and Dharma Mittra. Teaching yoga in a wide range of environments from the slums of Kolkata to the confines of the Occupied Palestinian Territories. By combing asana, meditation and pranayama, Bex provides an opportunity to explore the Spiritual through the Physical. Bex works to bring the study of yoga off the mat and into the practice of Life. "Yoga is a way to focus within, and by doing so expand our awareness, bringing increased responsibility to live in alignment with the men and women we came here to be. Peace". Carlos Romero is a Surfyogis' devoted Yoga teacher, who has been immersed in the journey of self-exploration through Yoga for over the last 15 years. After finishing his first Yoga Teacher Training in Sivananda Divine Life Society School (2002) he has continued to deepen his Yoga practice and expand the scope of his studies in Ashtanga, Vinyasa, Jivamukti, Dharma Mittra Yoga, Anusara, Yin and Embodied Flow. In 2005, he became a Thai Yoga Massage therapist and continued his exploration and studies into other forms of movement & healing. He discovered AcroYoga in 2010, and has since dedicated to share this practice to explore connection and confidence for all those who feel the beauty of combining yoga, acrobatics & healing arts. The Essence of Carlos’s teaching is to bring joy, inspiration and ancient wisdom from different arts into one. Come experience yoga as a beautiful way to celebrate life and to embrace the spirit which manifests within. 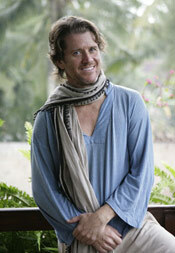 Carlos spends most of his time in Bali "The Island of Gods", sharing the path of Yoga & Healing Arts at The Yoga Barn. He offers ongoing classes, workshops, immersions and retreats, surrounded by Bali Bliss. A founding partner in all things Yoga Barn, Charley is passionate about shifting peoples life experience for the better much like his was shifted in 2004. He is also the music maestro / djay behind Yoga Barn's popular Sunday Dance! 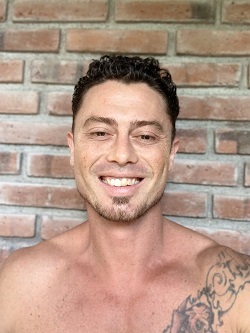 With presence and dedication he teaches private and public classes, workshops, retreats and teacher trainings with an emphasis on finding your own unique expression and embodied movement. 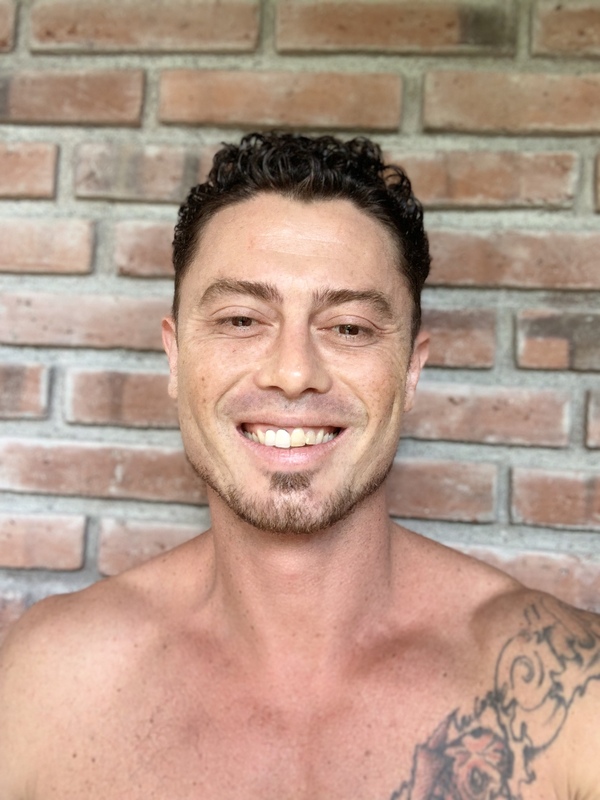 Having a background in Bikram and Ashtanga, Chris now explores vinyasa, yin and freedom of movement with heightened awareness for welcoming spaciousness, peace, clarity, and surrender into his life. "We pulse as one. We gravitate to unify the global family, celebrate interconnectedness, and offer full devotion to divine Self. 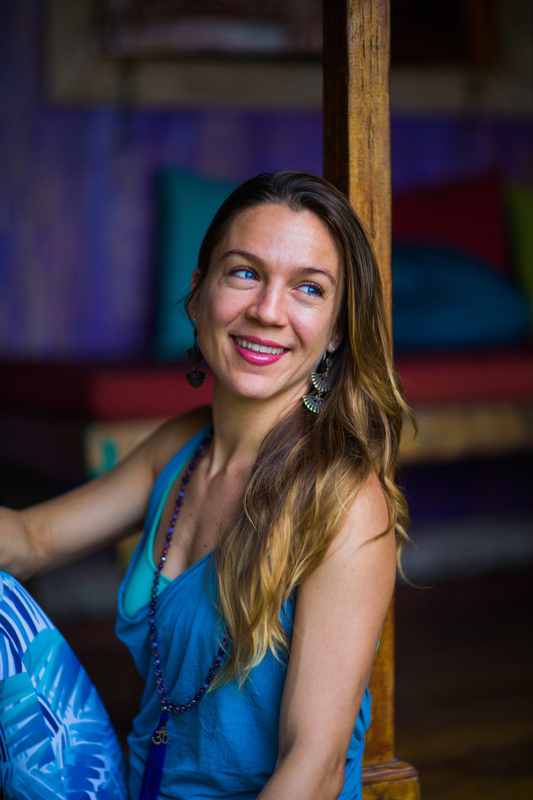 "Originally based in Mexico, World Traveler, Daniela has been immersed in bodywork and spiritual practice for more than 17 years. 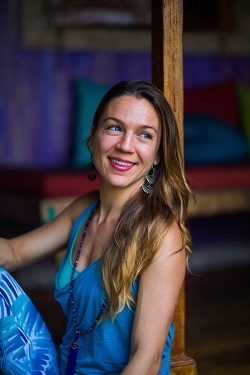 She is the founder of the School of Healing Arts, and SOHA Yoga Teacher Trainings, and Co-Founder and Spiritual Director of Sutra Yoga Studio, based in Monterrey, Mexico. 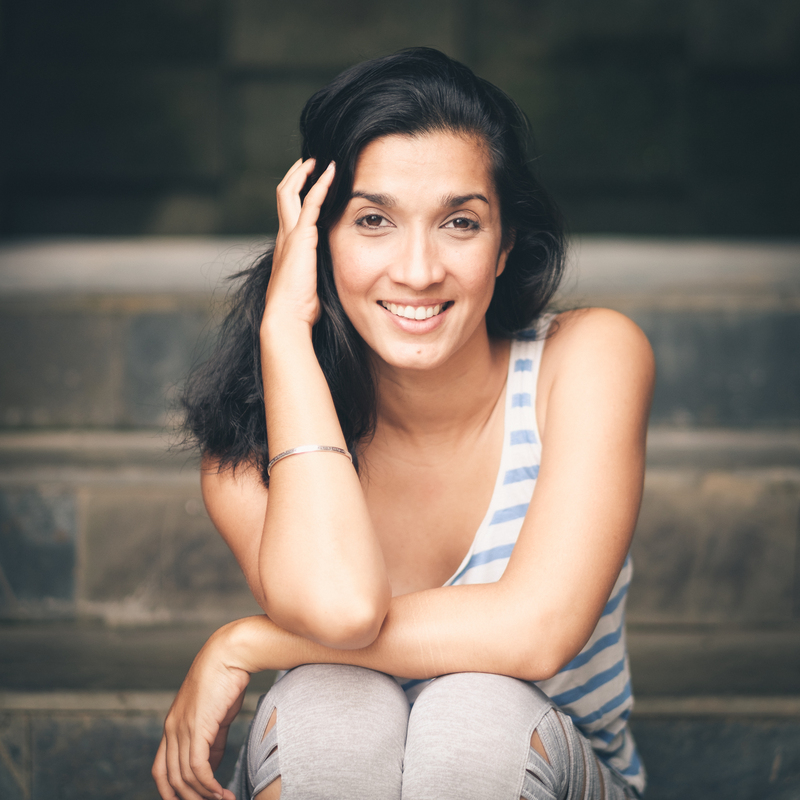 Born from a family of Alternative Medicine Healers, Daniela has become certified in Osteopathy & Bioenergetics, Medical Magnet Therapy, Traditional Chinese Medicine, amongst other Healing Arts. In Yoga she teaches trainings on Mandala Vinyasa Yoga, Prana Flow, Krama Yoga, Tantra Yoga, Acroyoga, and Thai Massage. Freedom, Wisdom, and Love gravitate around the practices that she shares with her students. Daniela is known for her highly positivity and grounded personality. A devoted practice and a sense of ancient wisdom are present through her teachings. When I hit my 60s I began to discover that the key to increased energy and mobility, was to release the tension that we hold in our bodies. I realized that my practice needed to become more internal. I began working with yoga teacher Rusty Davis and study the myofascial system. Soon after, I met my current qigong teacher Sifu Deming Liu, and began putting together a style of practice that has given me more energy, mobility and vitality than ever before. Based on his own experience, David now teaches people of all ages to move more freely and effortlessly, by releasing tension and creating a better mind/body connection. This results in greater postural integration and better coordination. Myofascial qigong is great cross training for yoga and other athletic activities. As a native Balinese, Yoga has been part of Eka Kailash's life since a very young age. Chanting, creating offerings, connecting with the spirits and nature was his day-to-day childhood. Curious to explore the world, he decided to embark in journey as a scholar and media specialist, which brought him to study and work in Singapore and the United States as well as Indonesia. There he discovered how Yoga helped him overcome physical challenges, and found his balance between material and spiritual world. 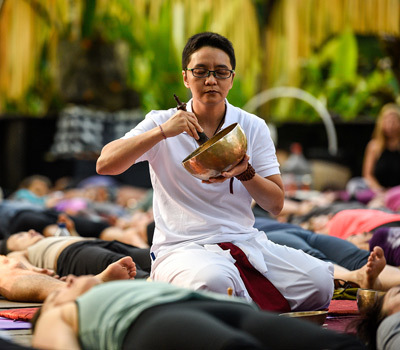 Returning to Bali to deepen his exploration of Yoga, Eka now teaches meditation, Hatha, Hatha Flow, Yin, and Kailash Yoga a unique style of Yoga inspired by his studies with the world-renowned Oracle teacher Diana Manilova, combined with Balinese culture and wisdoms. Aside from teaching locally and internationally, he also enjoys singing and writing music with fellow local musicians. Greg is a sensitive, creative and earth conscious spirit by nature. When he found yoga, it was like coming home. 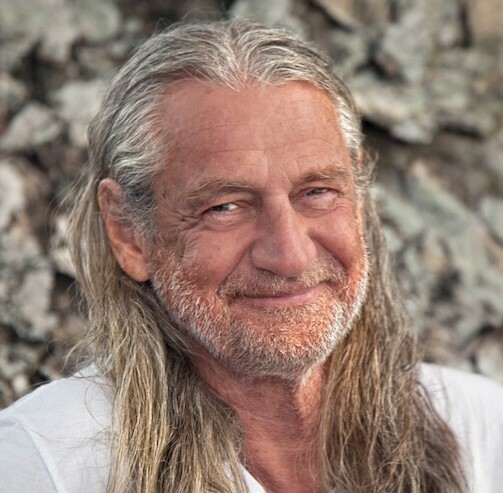 Greg spent years traveling and teaching worldwide, taught over 9,000 public classes, leads international workshops, trainings, and maintains a devoted self practice and commitment to personal inquiry and growth. Rooted in Classical Hatha, and influenced by many styles and beloved gurus; his classes are fun, focused, and very naturally flowing; lightheartedly exploring and embracing our shared humanness. Greg is also a seasoned and passionate musician and Kirtanist, having lead charity Kirtans for years. Don't be surprised if you find yourself in a "cirque de soliel" pose one minute, then busting over in ridiculous group laughter or a blissful a singalong the next! 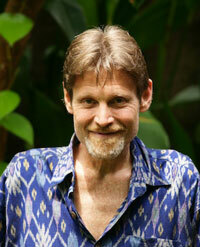 Greg also brings pranayama and meditation into each class providing a truly balanced, grounded and holistic experience. Greg's current philosophy: "Life is a Divine Leela (play); Let's embrace our differences, support each other through the challenges, learn how to laugh at ourselves, and have gratitude for the gift of life around us." Greg teaches the following yoga styles: Hatha, Kirtan, Kundalini, Meditation, Power, Pranayama, Restorative, Tibetan Heart, Vinyasa, Yin, Yoga Nidra. Leah's background started in psychology and neuroscience, followed by a decade working in fast-paced careers for Microsoft and tech startups. After experiencing burn-out, anxiety and a desire to follow her heart, she dove head-first into yoga and meditation. Her classes, workshops and retreats help people strip away years of stress, restore their energy and zest for life, and strengthen their relationships to themselves and loved ones. Leah's a Certified 200-RYT Yoga Teacher, 200-RYT Meditation Teacher and Level II Reiki Practitioner, having studied under Master Teachers: Mark Whitwell, Dr. Lorin Roche, Ph.D, and former Vedic Monk, Steve Ross. She’s completed immersion trainings with Google's 'Search Inside Yourself Institute’, Charlie Knoles’ Vedic Meditation, and Journey Mindfulness Meditation. One of the most versatile teachers around, Levi channels energies from all directions to bring a calm, centered peace to any practice. Surely an Indian in a past life, Levi is called to infuse modern Yogic studies with a balance between the Vedic sciences: Yoga, Ayurveda and Astrology! An avid Astrologer himself, Levi's supportive, nurturing classes beam from a cosmic viewpoint. Certifications and trainings come from: 7 Centers Yoga Arts (Sedona, Arizona); School YogaInstitute - Advanced Yoga + Shamanic Studies (Lake Atitlan, Guatemala); and KPJAYI with Saraswati Jois (Mysore, India). Levi's teachings have grown from the Satyananda Saraswati lineage, Kundalini Sadhana, Vipassana meditation and years of daily guided Pranayama and Iyengar Restorative practice. These diverse influences synergize with the quality of space held by Levi, guiding students toward their heart-center. A past break-dancer and hip hopper, Levi performed, competed and taught internationally for 13 years. He was a community leader, co-founding and organizing a non-profit aimed at building community through the hip-hop arts. Since then, Levi has left the dance floor for his yoga mat and has unlocked his heart to Bhakti: he has blessings to play Tabla, Harmonium and Native American flute. When not teaching asana, Levi can be found giving Astrology readings, facilitating Yoga Teacher Trainings, or teaching workshops at festivals worldwide. An essential oil connoisseur, Levi leads Cacao ceremonies and is the loving co-founder of UsTantra™. Praised as a star child for embodying movement as his life expression, Madeira started his capoeira journey since 2000 after a lifetime passion in martial arts. He has been one of the instrumental pioneers in developing the Capoeira movement and bringing it to the forefront of the masses in Indonesia. Professor of Grupo Senzala Capoeira, following the guidance of his teachers Mestre Gato and Mestre Pedro. Madeira has more than 10 years teaching experience and is the Founder of Capoeira Indonesia Association “ Satu Capoeira” . Having opened 12 schools in Indonesia, he never stops developing and sharing his passion and skills with others. With his profound knowledge based in martial arts, dance, anatomy and capoeira he has craftily created his very own unique ways and techniques of teaching. He’s been learning and sharing all over Asia, Russia and Brazil. In 2011 he founded the Syena Martial Arts Center in Jakarta and is a practitioner of many forms of Martial Arts. Since 2003, Madeira is also a professional dancer and performer; focusing on teaching salsa and latin dances for all levels. 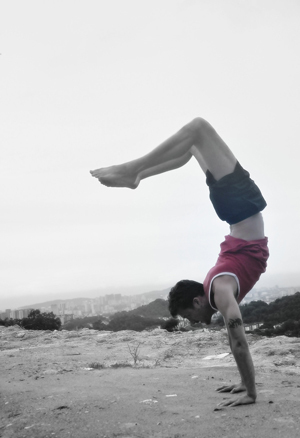 Madeira is a devoted yoga practitioner, completing his 200 hours YTT with Denise Payne and Bex Tyrer in 2014. He shares all his combined talents and knowledge to a wider audience. Malika Studied Hatha Yoga with the guru of OKI yoga for 4 years in Japan. Her Yin Yoga practice is based on studies with Hiroshi Motoyama. A deeper connection with the body led her to study Buddhist Medicine in Kyushu, Japan where she was trained in Moxa treatment. Nature is already complete and inner balance is the key to unlocking the natural healing powers that reside in the body. Bali has influenced Malika's healing techniques as well as her holistic approach to treatments which meet individual needs. Through body motion she is exploring the deeper realms of nature's creative energy. In this world of changes and transformations, our ability to connect deeply with ourselves will shape our sense of harmony with our surrounding. Malika's path has revealed to her a new level of being and a complete new approach to Yoga that she is now sharing with the world. 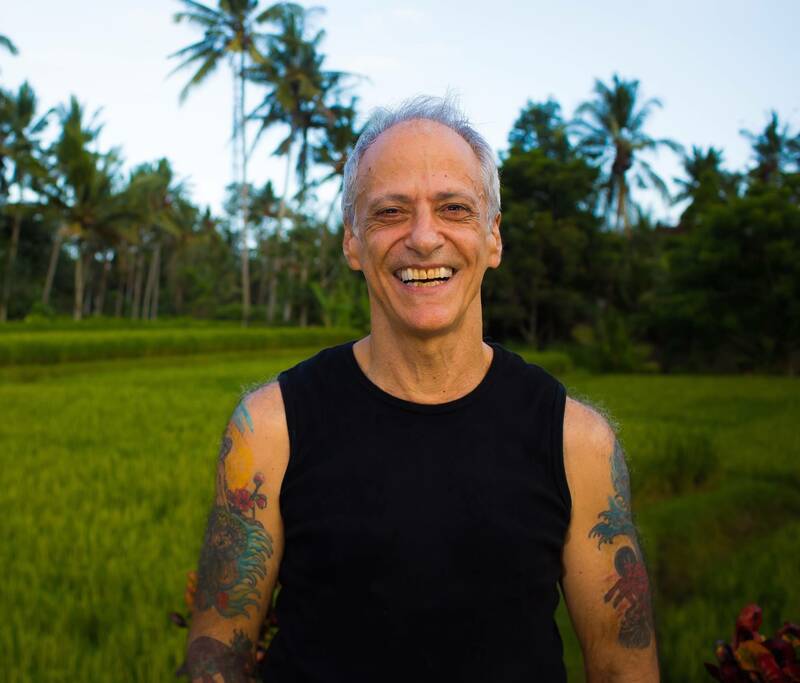 Born and bred in Bali, Marcus' yogic journey started 17 years ago when he worked at a Yoga and Meditation retreat near his central Bali village of Tabanan. Mostly involved in admin and logistics at that time, Marcus started practicing yoga with the groups that came through, meeting and studying with several yoga teachers who inspired him along the way. 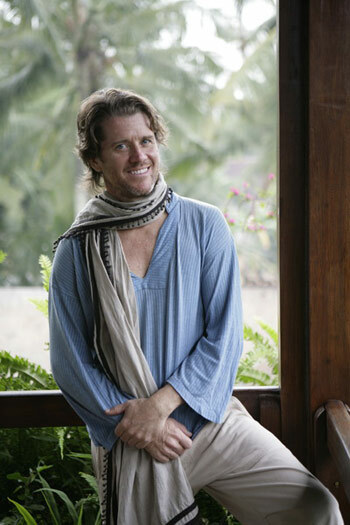 In 2001 Marcus was given the chance to join a raw food yoga seminar with an American group for two weeks in the Northern part of Bali where he was the yoga instructor. Ever since then Marcus has been teaching full time. 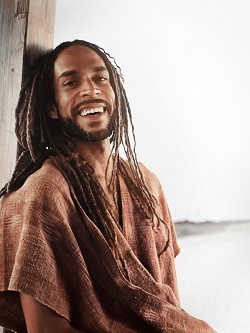 In 2003 Marcus did his first Yoga Alliance Certified Teacher Training where he was instructed by several International yoga teachers in different styles. 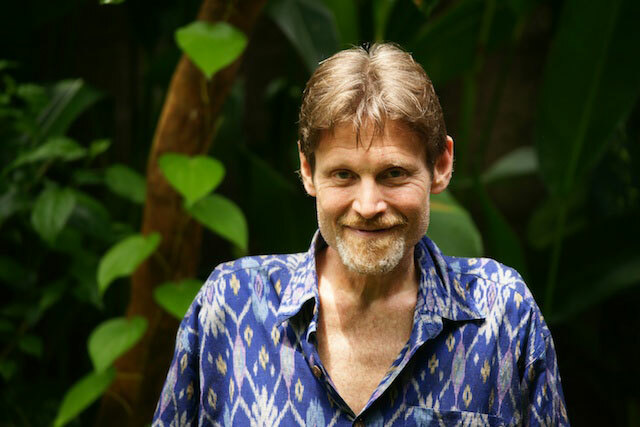 Currently Marcus teachers privately near his home in Legian/Kuta, at the GHM Luxury group of Hotels and in central Ubud, exclusively at the Yoga Barn. Mark’s teachings clarify the profound passion and relevance of ancient wisdom to contemporary life.A truly inspiring teacher, Mark’s interest is in helping students develop an authentic yoga practice for themselves as an individual, based on the teachings of T. Krishnamacharya and his son TKV Desikachar, with whom he enjoyed a relationship for more than twenty years. Nadine McNeil’s twenty-odd year career within the United Nations, serving at locations across the globe, is what guided her towards yoga, primarily as a necessary tool for self-care while serving in volatile, conflict scenarios. Her current mission includes designing and implementing a yoga module that especially supports those who tirelessly serve others through their daily work. For over a decade she has deepened her knowledge through consistent practice. 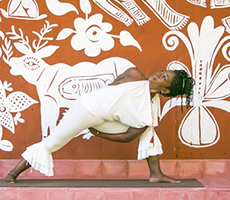 Devoted to the "democratization of yoga," she facilitates workshops to varying demographics, imploring yoga’s rich benefits as a viable tool for peace; from a cellular to a global level. Noel invites you to come explore the subtle path of movement, meditation and mind body awareness in ways you may have not felt before. Unlock the vast untapped potential of your true self while building mind, body and spirit awareness, inner strength, coordination and balance. Noel has studied Martial Arts and Yoga since 2007 and is a certified White Crane Silat teacher, and a RYS 200hr certified Yoga teacher from One Song Yoga School. Come move, play, laugh, sweat and go inward on a journey into pure presence. A true yogi, Murni experiences yoga from a perspective of devotion and self discipline. Born and bred in Gianyar, Bali, Murni has been a part of the BaliSpirit family since 2002 and the Yoga Barn its inception in 2007. Orginally plastered behind a desk, focused on administration and Graphic design, Murni has morphed into an incredibly disciplined Yogi. Murni's love affair with the practice of yoga started when she would drop into classes in between her administrative hours… over time that has changed and now Murni only works in between her hours of yoga practice. A dedicated practitioner, Murni is also dedicated humanitarian. Alongside the co-founders of The Yoga Barn & the BaliSpirit Festival, Murni plays an active role as a volunteer teacher for the outreach program, AYO! Kita Bicara HIV/AIDS, and HIV education program aimed at Balinese Youth. Through “EduSpirit’ workshops inclusive of journaling, role-playing, active meditations and yoga, this program encourages awareness, discussion & understanding about the HIV/AID epidemic in Bali, how each teenager and their families are at risk and what they can do to be responsible about the spread of the disease. Murni has passion for the challenges she faces on and off the mat, and the wisdom to utilize that experience as a teacher. Murni's classes are designed with purpose, are uplifting and offer something to students of every level. Paul Teodo is a yoga and meditation teacher and musician from Los Angeles. He received his 200HR certification through YogaWorks, and has worked in several main studios in California. He was recently named the #1 Yoga Teacher in Los Angeles by the Culture Trip. 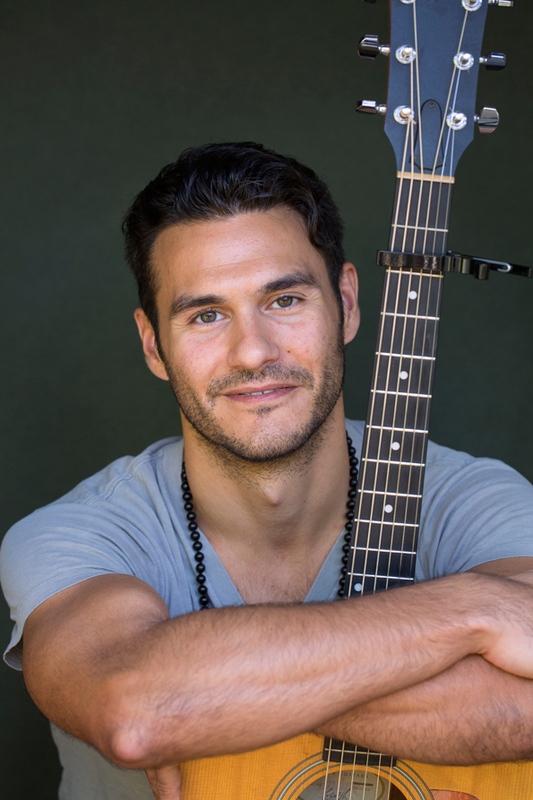 Paul has a unique talent – he can teach a strong vinyasa class and also guide deep meditations with his live music. His classes are distinctly masculine, while at the same time holding space with sensitivity. Paul has spent the last 6 years perfecting A Journey to Center, his own personal fusion of a mindfulness meditation and original pieces written on acoustic guitar. This is the foundation for his unique Guitar Meditation class - a one-hour body-scan meditation combined with live acoustic guitar. Originally from Bogor in East Java, Indonesia, Sheryl moved to Bali in 2013. Shortly after that she started practising yoga in Ubud, and during this process rediscovered the meditation and mantras her Indian grandfather taught her when she was young. As Sheryl’s experience grew she started assisting teachers in yoga trainings too, and has been teaching both private and group yoga classes at The Yoga Barn and elsewhere in Bali since 2015. Sheryl particularly loves acro yoga, vinyasa and thai massage. She loves to connect with people, and she continues to value the space that yoga creates to be present, sit still with herself and dive deep into mind and breath. Tina Nance is an Australian yoga and dance meditation teacher who has been practicing Yoga for over 16 years and teaching yoga and movement meditation around the globe, for the past 10 years, in classes, workshops, retreats and teacher trainings. Tina is trained in both Classical Indian Yoga & Chinese Taoist Yoga & Yoga Therapy. 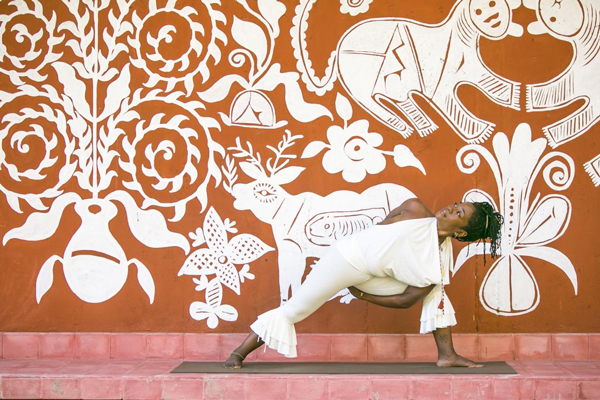 Tina is deeply passionate about creating opportunities for people of all backgrounds to connect directly and experientially with their body-mind and Spirit via the Yogic Arts. Tina works within the understanding that all contractions of the body-mind, are a manifestation of the misalignment of our thoughts and behaviors with the truth of who we are. Tina's yoga is therefore focused on consciously unraveling our body's contractions with guided awareness. Cultivating the art of deep presence, focused awareness and conscious breath within each asana, exploring all eight limbs of yoga simultaneously, on the mat. Re-establishing health and harmony by un-obstructing the flow of prana through the body's energy channels and connecting to our innate divine essence that is our natural state, merging our body, mind and Spirit as One. Tina has travelled and taught throughout Australia, Europe, America and Asia and is currently living and teaching in Bali, Indonesia. Tina teaches regular weekend workshops at the Yoga Barn as well, check our events page to see when she is teaching next! Tanya Kaps has been teaching yoga full-time for 12 years, internationally throughout Canada, Hong Kong, Singapore, Thailand and Indonesia. She teaches and practices with an integrated approach of the Hatha, Raja, Bhakti, Karma, and Jnana paths; her primary Hatha influences are derived from Anusara, Power/Vinyasa, and Yin. Tanya teaches the balance, integration and expression of both the masculine and feminine principles in our body-heart-mind-life practice. In addition to yoga, she has also been using freeform dance, and song as a natural spiritual practice as long as she can remember. Through both yoga, freeform dance and singing, she has explored the use of movement, breath, sound, and awareness to liberate energy, expand consciousness, enable the 'direct experience of being' as a tool of revelation. Philosophically and experientially, professionally, and personally, Tanya has dedicated her adult life to exploring the nature of consciousness and liberation as it relates to the human experience in the times we are living. Her inspiration and therefore teaching is infused with the perennial teaching: live with presence and with love in our heart, that we may see the divine in all beings, in one self, in all moments; as this is both the means and the ends of Self Realization. Wakuha is an Archangelic Shaman, working with sacred energies, journeying to the god realms, utilizing tibetan bowls celestial sound, sacred geometry, light language, soul retrieval, akashic release, angelic and shamanic healing practices – in purity. As an Archangelic Shaman, Wakuha’s own spiritual journey started at an early age of 13 in her native Jakarta, Indonesia and the course of her life experience has opened her to realms of truth and wisdom. Through many years of transformative passage, she feels so free now. As she continues walking her path of spiritual mastery and liberation - living her life in joy, love and gratitude - she is sharing her soul gifts with the world through her presence, her work and her beingness.